Tescom’s MTP200B is a non-signaling test-based WLAN or BT LE (Low Energy) tester. As one-body equipment incorporating both Signal Generator and Signal Analyzer, MTP200B is designed to provide effective and stable performance for generating and analyzing WLAN and BT LE waveforms. It can be effectively used in a mass production for testing the RF performance of products with WLAN and BT LE functions such as smart phones. In addition, the best efficiency can be expected at a lower cost thanks to the simple installation and operation of the product. MTP200B’s WLAN Test System provides both Analyzer (ANL) mode and Generator (GEN) mode; WLAN IEEE 802.11 a/g/n standard is supported. 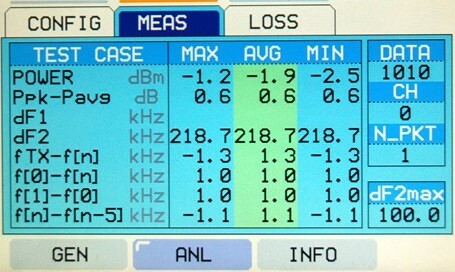 For signals transmitted by WLAN devices, measurements of RMS EVM, Power, Frequency Error, and Clock Error can be made through MTP200B’s Signal Analyzer; the results of the measurements can be readily checked through the built-in LCD without separate connection to PC. MTP200B’s Signal Generator can transmit a user-defined WLAN signal to DUT so that the DUT can check its reception performance by checking whether the transmitted signal by MTP200B is successfully received. MTP200B can store up to 40 different user-defined WLAN signals, and the stored information can be readily checked through UI. 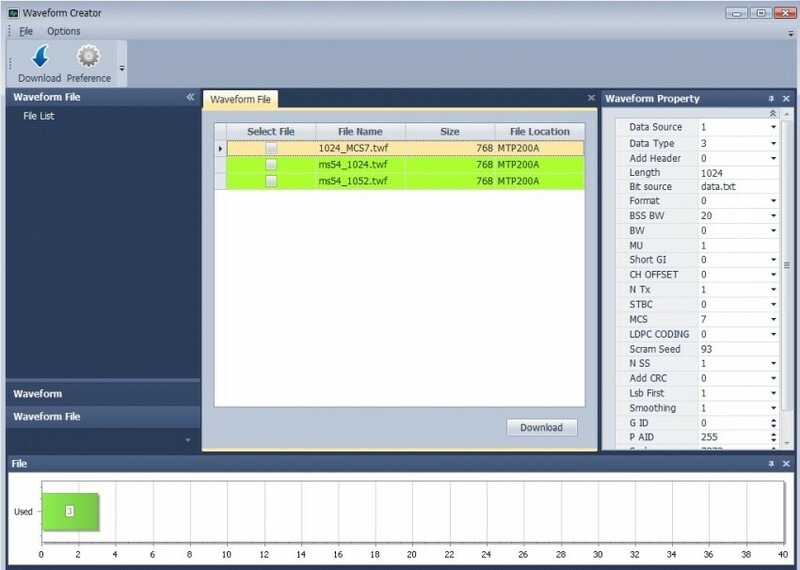 Using Tescom Waveform Creator, user can create various WLAN test files by directly editing the parameters related to WLAN 802.11 a/g/n protocol. 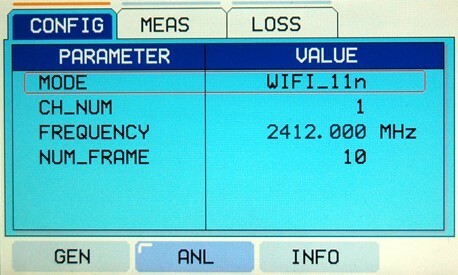 In addition, the created WLAN test files can be easily downloaded to the equipment. MTP200B’s BT LE Test system provides a non-signaling-based test for BT LE RF test cases defined by BT LE test standard. 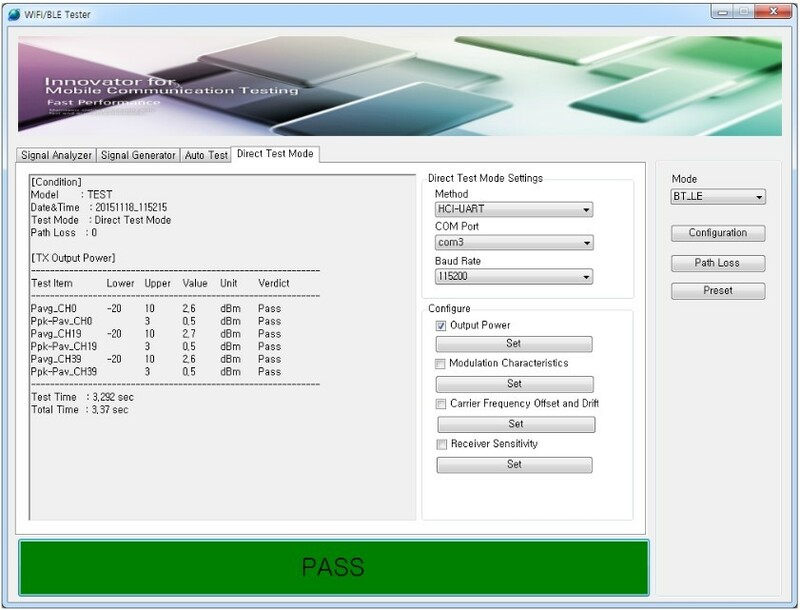 In addition, since advertising test mode is supported, it is possible to check the simple RF characteristics of BT LE devices in finished product condition with no separate test mode. 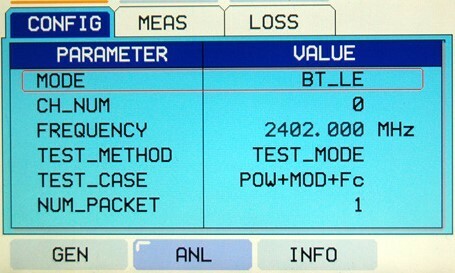 BT LE Direct test is also available in MTP200B by using a remote control program. MTP200B can be simply applied to mass production because the remote control program not only supports the automatic batch measurements for RF test case but also provides pass/fail judgements for the measurement results. With MTP200B’s BT LE Signal Analyzer, Output power, Modulation characteristics, Carrier frequency offset, and drift as defined in the BT LE Transmitter Test Case can be measured by analyzing the signals transmitted by a BT LE devices. 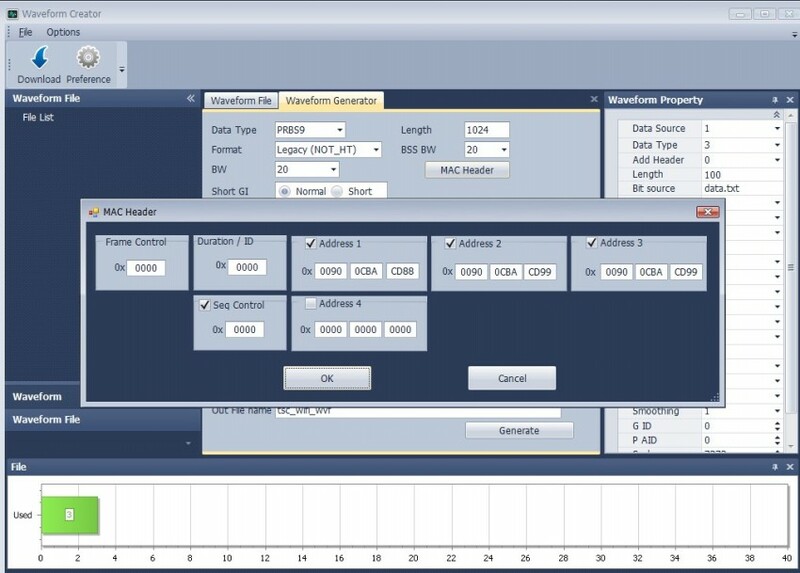 Additionally, a function with which Power, Modulation, and Initial carrier frequency offset can be simultaneously tested is provided in advertising mode, making it possible to determine easily whether or not the RF performance of a device can meet the test standard. MTP200B’s Signal Generator can create and transmit BT LE signal defined in BT LE test standard to DUT so that the DUT can check its reception performance by checking whether the transmitted signal by MTP200B is successfully received. With MTP200B’s built-in USB to Serial interface, it is possible to control equipment remotely using a USB port in a PC. 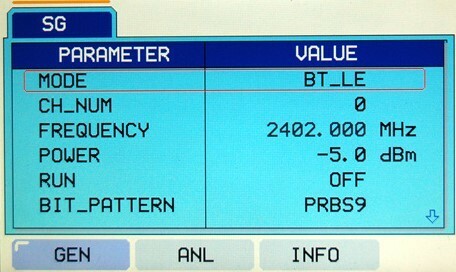 MTP200B also supports the GPIB interface for remote control. Using the remote commands that provided with the equipment, all functions of the equipment can be operated and user can make an automation program for mass production. The measurment can be done more convenientely and easily if a WLAN/BT LE remote control program is used. 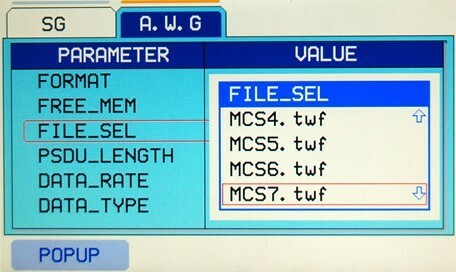 - Easy to change measurement criteria and conditions. For MTP200B, firmware upgrade can be done quickly and easily through PC using a simple upgrade program. Tescom can provide a total solution for production that ranges from the shield box designed for electromagnetic wave shielding, TEM CELL for wireless test and antenna couplers to measurement software programs for production automation to help solving the difficulties involving measurement systems that are complicated and difficult to operate. 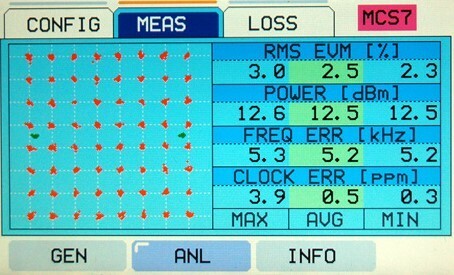 ◆ Measurement result display through Color LCD. * Please refer to the datasheet for details. * Must choose either S200-10 or S200-20. * Full Option (S200-10 + S200-20) is available.